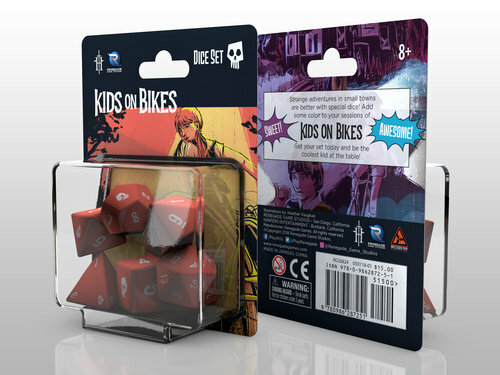 The fun and challenging dice game Goblin Dice is now part of MAGE Company’s Family Line. 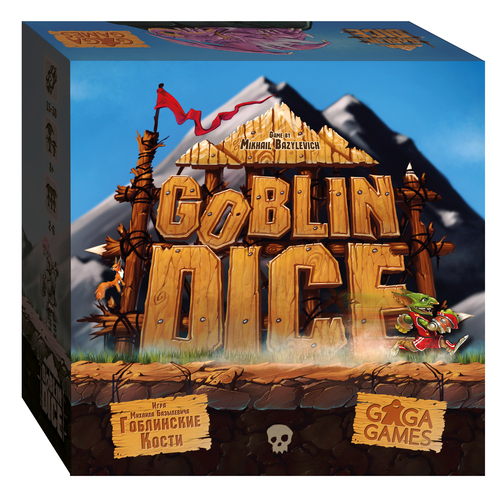 MAGE Company is proud to announce that it has reached an agreement with GAGA Games in order to acquire its game Goblin Dice. This 2-6 player board game challenges your attention and reaction time since you turn into a small agile goblin who participates in the race of the century. You will be followed by the Magic Stone that threatens to smash anyone who slows down for a second. During the game players will have to roll the dice and then grab those with numbers they need as fast as they can. 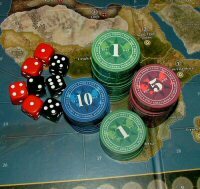 This gambling and fascinating board game, which lasts no more than 30 minutes, will stir up anyone playing it. “The Development Team had so much fun while playing Goblin Dice that they insisted in adding it to our Family Line. 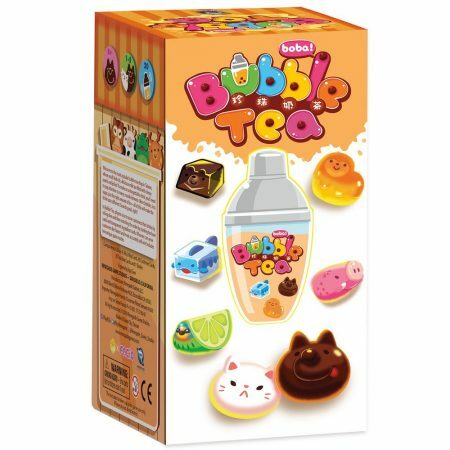 This is a great game that everybody can have fun with, younger and older!”, underlines Alexander Argyropoulos, General Manager of MAGE Company. The game will be published in Q2 2018 with an estimated MSRP of $20. 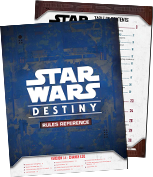 The latest version of the Star Wars: Destiny Rules Reference is now online from Fantasy Flight Games! This update contains the usual streamlined rules, clarifications, new questions, and other minor changes that come with refining the rules. In addition, today’s update includes errata to a couple of cards that players should be sure to read about. Learn why these changes were made directly from the designers, and then download the new Rules Reference to see all the changes for yourself! 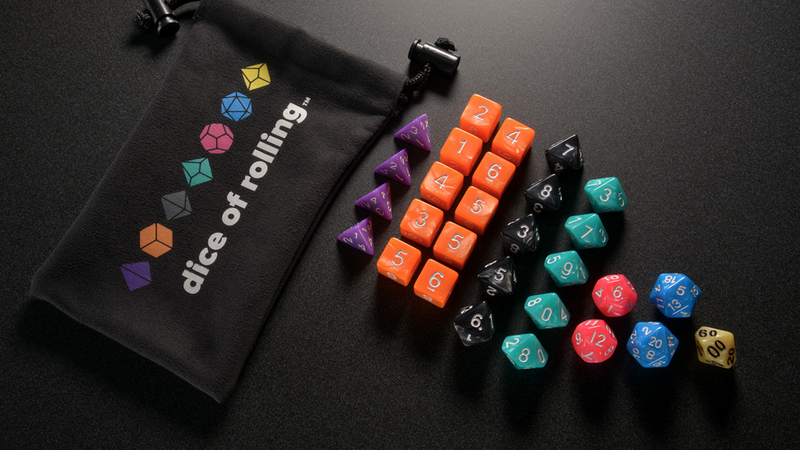 Dice of Rolling are a color-coded 29 piece dice set, optimized for the 5th edition of the world’s greatest roleplaying game. It seems like no matter how many dice you buy, you still never have enough d6s… meanwhile, your collection of unnecessary d20s keeps getting bigger. Dice of Rolling are not rocket science. They’re just regular dice that come in the amounts you actually need, and they use color for more than just decoration. One simple purchase, and you’re good to go for most of the situations you’ll encounter in the 5th edition of the world’s greatest roleplaying game. 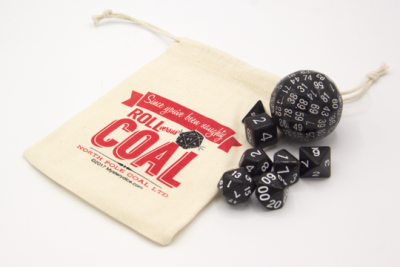 And since each dice type is a different color, you’ll always grab the right ones. 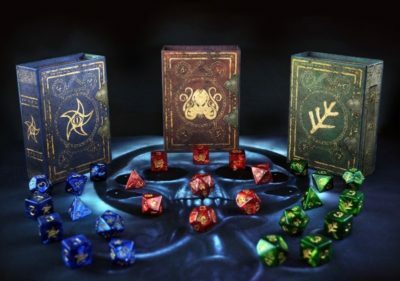 Dice of Rolling are live on Kickstarter now, and already funded. Just like Spirit of Rebellion brought the characters of Rogue One to players’ games, Empire at War brings the thrilling action of Star Wars Rebels to the tabletop. 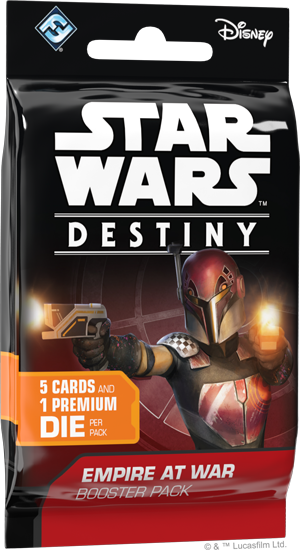 Join the crew of the Ghost and their adversaries as they join the epic duels taking place across every era of the Star Wars saga.